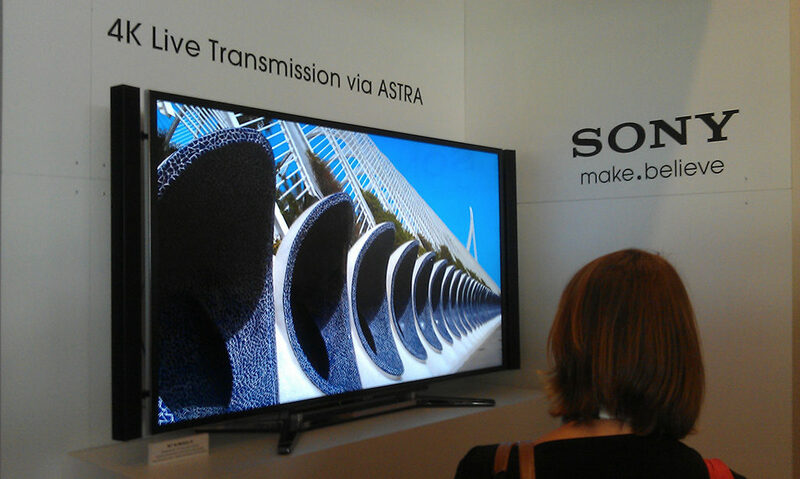 Back in 2012 at IBC, I walked past the Sony stand (which is so big it fills the whole of Hall 12) and they had a large screen showing stock shots of landscapes, flowers and architecture in 4K. I hadn’t seen anything in 4K before, so I stopped and watched for a bit – along with hundreds of other people whose eyes were drawn to the pin-sharp picture and gorgeously deep colour palette. This was only a few years after Sky had made a huge deal of switching some of their broadcasts from SD to HD, and now HD suddenly wasn’t enough any more. I love new technology, and while I have my misgivings about whether there’s much of a point to 4K – 2K is still enough for even IMAX – we were keen to shoot some 4K “properly” (we have a GoPro Hero which shoots 4K, but that doesn’t count – see later). …as well as various monitors, lights, EF adaptors, tripods, batteries, etc. 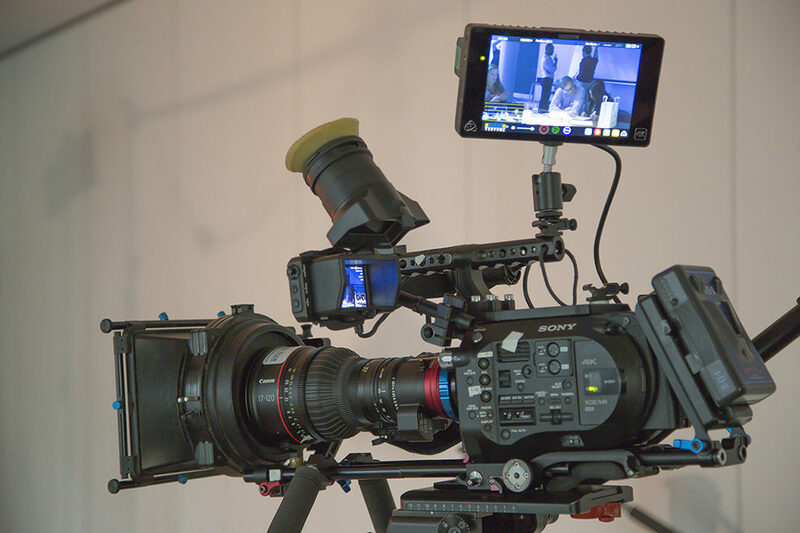 We were shooting in a mix of S-log3 (for high-contrast scenes) and REC.709 Hypergamma 7, in 4K, 50fps XAVC-I – in other words, at the FS7’s maximum internal bitrate (for multiples of 25fps) of 500Mb/sec. The client had originally asked if we could shoot in 4K RAW, but after some discussion it was decided this was unnecessary: the advantages of getting precise values for all those pixels were crushingly outweighed by the fact we’d be having to deal with around a gigabyte of data per second. Given that we ended up shooting over 140 minutes of footage during the day (and the client wanted to take the rushes away on a hard drive afterwards), this wasn’t a trivial concern. 8.5TB of footage still takes a long time to copy, even in these days of Thunderbolt 3. The first, and fairly obvious, consideration when shooting in 4K is focus. The FS7 is Super35mm, which while it isn’t full-frame is still a fairly large sensor, and the Canon CN7x17 is a reasonably fast lens at T2.95 when fully wide, so in practice this meant that for a lot of the close-ups we were getting, the focal range was fairly narrow. With four times the pixel count of 1080p, the acceptable amount of blur is halved. Put simply, the picture needs to be as sharp as possible, which is why we were using a £20,000 lens on a £6,000 camera. Focusing was helped by the FS7’s pretty decent viewfinder, which allows the usual options for expanded focus and so on, and as the CN7 is a parfocal lens you can also zoom in, focus and zoom out again; but we didn’t have access to a 4K monitor on set, so it wasn’t possible to play back shots as we went along and check them critically. The second major consideration of shooting in 4K is the volume of data you create. As mentioned earlier, we’ve got a GoPro which can shoot 4K (just), but it only does so at 15fps and 60Mbit, which is a shade above the data rate we shoot 1080p in, for four times the pixel count. To do justice to 4K, you’ve got to shoot at four times the data rate you’d use for 1080p at the same quality. We were also shooting in 10-bit 4:2:2, at 50p (to make it easier for users to convert between 25fps, 29.976fps and 24fps), so some quick maths gives an approximate data throughput of 220MB per second (although in practice, this comes out at about 58MB/sec once it’s been through the FS7’s processors and compressed onto the card). That’s megabytes. In all, our 140 minutes of footage totalled 479GB for the day. Playing this back isn’t easy, unless you’ve got specialist kit. Our DIT laptop was specially built a month ago to handle a high data throughput, but even with the footage stored on one of its internal SSDs, it struggled to play anything back smoothly – plus, as mentioned, there was no way on-set to view it in native 4K anyway. So it was back to the old days of rendering out offline proxies so we could work with it: in this case, we dropped it all down to 1080p, which itself took 9 hours. We’ve been working in tapeless 1080p since 2009, and even before then when we were shooting on tape, we didn’t have to use low-res proxies. In short, 4K places extra demands on hardware, which – at least at the prosumer level – hasn’t caught up yet. The third issue with 4K is, more broadly, a philosophical one. Do you really need to acquire at this resolution? With most Oscar-nominated films being shot on the ARRI Alexa, which doesn’t shoot in 4K even if you want it to, is 4K just another case of marketing pixels? A recent survey by Televisual magazine revealed that 31% of those asked had never even seen 4K content played out anywhere. This will change, but since the survey sampled those working both on staff and freelance for broadcasters and indies, and they hadn’t seen 4K despite there being 4K TV packages now available, it’s probably safe to say that the industry doesn’t see 4K as a priority yet. A final thought. Around the corner from that 4K display at IBC was a prototype panel from the Japanese broadcaster NHK, showing footage in 8K. It was an enormous screen, probably 100” diagonal. And it was surrounded by people standing as close to it as they could get, in an attempt to make out the pixels, like kids crushing themselves up to their favourite show. If we’ve gone past the point where pixels are a discernable part of the image, shouldn’t we stop obsessing over them and focus on the stories we’re trying to tell with them instead?